We’d love your help. Let us know what’s wrong with this preview of The Invited by Jennifer McMahon. In a quest for a simpler life, Helen and Nate abandon the comforts of A chilling ghost story with a twist: the New York Times bestselling author of The Winter People returns to the woods of Vermont to tell the story of a husband and wife who don't simply move into a haunted house, they start building one from scratch, without knowing it, until it's too late . . .
To ask other readers questions about The Invited, please sign up. Was the title changed from The Invited (as seen on the picture & in reviews) to Dream House (title listed on GR)? In the very beginning of the story, Hattie Breckenridge is hung for being a witch. Nate and Emily decide that they want to build a house in Vermount. The plot of land that they purchase is haunted. They then learn that Hattie use to live on the land that they purchased a century ago near the Bog. Then things get really interesting. Helen doesn't know it but she ends up building a haunted house from sctatch. Then strange things start happening. Helen also finds out about the tragic lives of Halli In the very beginning of the story, Hattie Breckenridge is hung for being a witch. Helen also finds out about the tragic lives of Hallie's descendants, three generations of Breckenridge women, each of whom died amidst suspicion. A chilling gothic ghost story with a twist which was not scary but very creepy and it did give me goose bumps. It's also a thriller and a mystery. I was immediately drawn into the story, since I loved the atmosphere and the supernatural eerie world of this book. The book goes back and forth from the past to the present. There are dark secrets that are slowly revealed. The book kept me in suspense to find out what was going to happen next. I thought this was a character driven novel. They were very well developed. My favorite character was Olive. I loved the writing style which had short chapters. I found it to be an addicting read. I recently read The Winter People and loved that book too. I already downloaded The Night Sister, by this author and can't wait to read it. I just want more from this author. I think you will love this if you like a good ghost story that then changed into a thriller. This was a Traveling Sister Read and a lot of us enjoyed it a lot. It made a great group read. Mary Beth *Traveling Sister* Dorie - Traveling Sister :) wrote: "Great review, I almost got this one since I do like a good ghost story, will have to add it :)"
Thank You, Dorie! I Dorie - Traveling Sister :) wrote: "Great review, I almost got this one since I do like a good ghost story, will have to add it :)"
Mary Beth *Traveling Sister* Nikki wrote: "Excellent review, Mary Beth! I can't wait to read this one. I love Jennifer McMahon! So glad you are enjoying her books too!" Thank You s Nikki wrote: "Excellent review, Mary Beth! I can't wait to read this one. I love Jennifer McMahon! So glad you are enjoying her books too!" Nate and Helen decided to change their lives. They resigned from their teaching jobs and moved to rural Vermont where they began building the home of their dreams. They purchased the forty-four acres of land from a man who was extremely motivated to sell. So happy to have a good deal, in a beautiful setting, they soon learned that their land was once owned by a suspected witch, Hattie Breckenridge. A woman who the town chased down and hung for being a witch. Rumors about the land are all around town. People also had tales about sightings of Hattie. Undeterred, Helen and Nate continue to build their home. When Helen purchases materials for her home, not only do strange things begin to happen but she begins to have sightings. Intrigued by the history of the land and tales of Hattie Breckenridge, Helen decides to learn all she can about Hattie and her descendants. Olive, a local teenager, is looking for answers about her Mother's disappearance. She is also obsessed with finding lost items in the bog. To right a wrong she agrees to help Helen and Nate build their house. As the trio continue to build Helen and Nate's dream home, it becomes evident that the past is not ready to rest, that items can act as conduits, and that Hattie and her descendants need help. The Invited beings with a thrilling scene which got my attention right away. When the tension of that scene is over, things slow down as the story in the present day is being told. I found the first half of the book to be on the slower side as McMahon built her story, introduced her characters and set up the book for the second half. Speaking of the second half, things picked up and became interesting as there are more sightings and the back stories of Hattie's descendants are told. I can't say that this was my favorite McMahon book. (My favorite being The Winter People) but this book was atmospheric and the bog was eerie. This book was not spooky, scary or even creepy. So more people may be able to enjoy this book. It wont keep anyone up at night, checking under their beds or looking in their closets, but it was enjoyable. It was also well written, and things came together nicely in the second half of the book. Witches, ghosts, Vermont, bogs, deer, lost items, found items, strange noises and wild life all play a part in this paranormal tale/mystery. Blurring the lines between the past and the present, the dead and the living. With dreams of a less complicated life, Helen and Nate decided to uproot their lives in CT and move to the country. Using money Helen recently inherited after her father's passing, they make a plan to start over and build their own home. Olive, a young girl, and new neighbor to Helen and Nate, is missing her Mom, who left home one night and never returned. Rumor has it that she has run off with a boyfriend but Olive doesn't believe it. Acting out and skipping school, Olive is on a path to nowhere, if someone doesn't step in and help her. As with The Winter People, McMahon has blended perfectly past and present into this story. In addition to the main storyline, described above, we also learn about some characters from the past who have deep connections to Helen and Nate's land. The way that all of these storylines are woven together and ultimately connect is seamless. McMahon has such a haunting way of writing. There is an overriding sinister ambiance to her stories, that make them an absolute joy to read. She adds just the right amount of chilling atmosphere and occult references to give her stories a genuine feel without being gaudy or overdone. Some of the plot elements I found were a little too easy to figure out, too simplified, if you will, which is why I decided on a 4.5-star rating as opposed to a full 5-stars. That is totally my opinion however and I can understand why people would give it a higher, or even a lower, rating. For me, this ghost story with a twist was highly entertaining and that is what I am basing my rating on. "Some people move into a haunted house, but you, you want to build a haunted house, Helen. How fucked up is that?" A couple decide to buy some land in Vermont that local legend has deemed "haunted". They get a "discount". Nate asks his wife, Helen what would make her "happy". She tells him that she dreams of a country life, away from the demands of the city. She wants land, a garden, chickens, goats, reminiscent of her childhood reading of the Little House on the Prairie. Nate and Helen buy the land and begin building the home of their dreams. They are building it themselves and adding some pieces of local A couple decide to buy some land in Vermont that local legend has deemed "haunted". They get a "discount". Nate and Helen buy the land and begin building the home of their dreams. They are building it themselves and adding some pieces of local history to their master plans. As Helen fills the house with local artifacts, she stirs some spirits from the past. Suspicious and unfriendly townspeople, strange noises in the night, paranoid thoughts, and a story from a century ago have Nate and Helen desperate to figure it all out. A ghost story and a haunted house made this one an intriguing story with some tension and foreboding. Well-written with a unique spin that held my attention until the end. I really enjoyed this one. * I did not find this one scary. There are themes of generational curses, spirits, witches, and ghosts. Middle school teachers, Helen and Nate, living a comfortable, sane life in the city, decide to ditch their jobs, new condo, and city life, after Helen's father dies and has her rethinking what she wants to do with her life. They buy 44 acres in the Vermont woods, with it's very own bog. In line with their new way of life, they are building their house themselves and Helen goes about finding things that are related in some way to Hattie Breckenridge, a rumored witch who lived on that property a c Middle school teachers, Helen and Nate, living a comfortable, sane life in the city, decide to ditch their jobs, new condo, and city life, after Helen's father dies and has her rethinking what she wants to do with her life. They buy 44 acres in the Vermont woods, with it's very own bog. 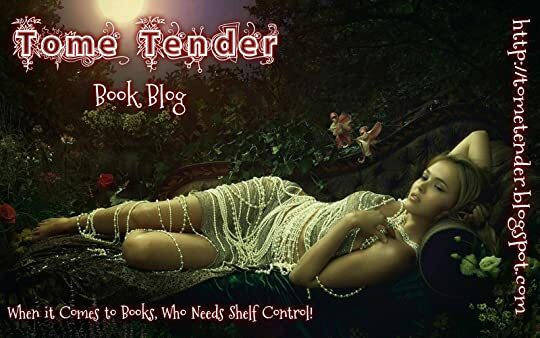 In line with their new way of life, they are building their house themselves and Helen goes about finding things that are related in some way to Hattie Breckenridge, a rumored witch who lived on that property a century ago. Helen has trouble finding anyone willing to talk about Hattie and in fact, a lot of the local townsfolk seem to be suspicious of Helen and Nate, for buying and living on Hattie's property. This is not a horror story but it is a ghost story. The scares are subtle and the story is a slow one, building quietly, as we get to know Helen and Nate, in their new surroundings and also get to know a their 14 year old neighbor, Olive and her dad. Olive's mom disappeared the year before and rumors have it that she ran off with a man, much to her husband's utter grief. Olive's aunt Riley watches over Olive and her brother when she can but mostly Olive is on her own, skipping school to look for clues to her mother's disappearance. Strange things are happening in the tiny town and on Helen and Nate's property, causing friction between the couple as Helen keeps looking into Hattie's haunted past while Nate seems to be on his own supernatural quest, as he tries to follow a white deer through the woods. Then there are some townsfolk who seem to be up to no good, with their seances and secret meetings. One doesn't always need to move into a house that is haunted, sometimes even building new the land itself could be taunted. This is what happens in the Vermont woods, when Helen and Nate leave their jobs, taking Helen's inheritance, to build a new house. What they didn't know was that this spot was the place of an horrific injustice, and a lost treasure. It soon become clear that they are not alone, and that someone wants something from the m.
I love how this author puts her stories together, out One doesn't always need to move into a house that is haunted, sometimes even building new the land itself could be taunted. This is what happens in the Vermont woods, when Helen and Nate leave their jobs, taking Helen's inheritance, to build a new house. What they didn't know was that this spot was the place of an horrific injustice, and a lost treasure. It soon become clear that they are not alone, and that someone wants something from the m.
I absolutely loved this multi-layered, multi-generational ghost story and mystery, steeped in tragedy. 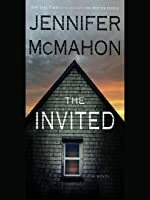 Jennifer McMahon is masterful ghost storyteller - she has gone back to her roots with The Invitation with a straight up ghost story that will scare your socks off. I haven’t been this spooked by a book since reading Simone St. James’ The Broken Girls which had a similar gothic, haunting vibe. And I so appreciated the nod to history geeks such as myself here. I have long been a fan of this autho I absolutely loved this multi-layered, multi-generational ghost story and mystery, steeped in tragedy. I have long been a fan of this author and I think this is one of her strongest books yet! Recommend! This book is nothing short of astounding. If you've been following me for a while (or even for a week or two), then you know that I love horror. I love reading every single word and letting it sink in. I love the heart pounding, fear I get when I read scary books. Of course, if you know me in real life, you know that I am a big scaredy cat. I hate dark places, tight spaces and scary situations. 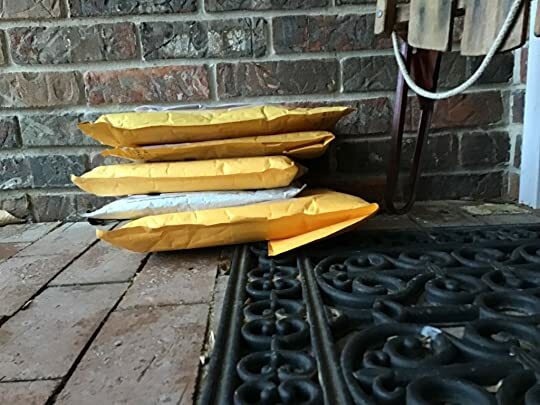 So why, would I like horror books? Mostly because I can control the situation. When I'm reading, I kno This book is nothing short of astounding. If you've been following me for a while (or even for a week or two), then you know that I love horror. I love reading every single word and letting it sink in. I love the heart pounding, fear I get when I read scary books. Of course, if you know me in real life, you know that I am a big scaredy cat. I hate dark places, tight spaces and scary situations. So why, would I like horror books? Mostly because I can control the situation. When I'm reading, I know what I'm reading isn't real and that I can always shut the book. One thing most horror authors (*cough* Stephen King *cough*), is have a very subtle slow build of horror. As a person who has ADHD and a very short attention span, I need my books to be fast paced. And this book kind of was? I mean it would go a few chapters being super exciting and then for a chapter or two it would get a bit boring. At least, it was able to correct the pacing pretty often. A common horror trope is no one believes the protagonist. I was a bit disappointed that for a while, no one would believe Helen. Another common trope is when partners slowly become distanced and angry at each other. That happened and it was heartbreaking to read. On the note of boring-ness, I really enjoyed all of Helen's chapters and the sprinkled-in POV of Jane and Ann but I really did not enjoy Olive's chapters. I found them really boring. Maybe it was because Olive just never clicked. I really didn't find myself caring about her or her story. Something a couple of horror novels have done is discrediting the paranormal activity. For example, the ghost isn't a ghost, it's an animal. I really loved that none of the paranormal activity was ever discredited by Helen. She was a believer to the end. Finally, I was a big fan of that plot twist. Obviously, I won't spoil it but trust me. You want to read this book if only for that kind boggling twist. No scary horror here, but we do have one fine creep factor! After receiving an inheritance, Helen and Nate leave the city...and their comfortable teaching jobs to self-build the home of their dreams....but many strange spirited obstacles arise. Unknowingly, the 44 acres they purchased in a small Vermont village near a bog turns out to have a dark and violent history....and the townspeople make it known they aren't too happy with the presence of outsiders even before Helen decides to dig deep into the past to find out what happened on their haunted land. 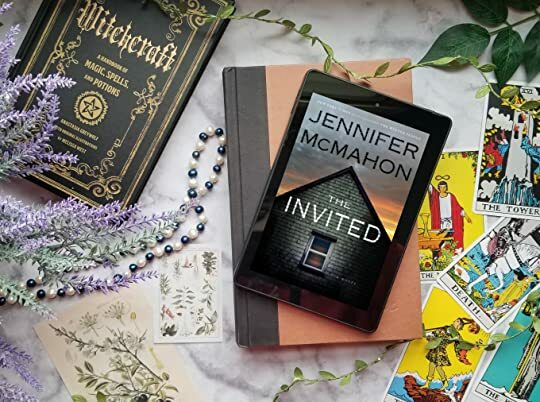 Within the pages of THE INVITED, Jennifer McMahon conjures up a great multi-layered, multi-generational storyline with angry spirits, witches, deadly predictions and a mystery...or two...to solve. This is a well-done work of paranormal fiction. I’m not usually a big fan of the paranormal, but it works well here because the story is grounded in history and science since Helen is a history teacher and her husband, Nate, is a science teacher. After Helen receives a large inheritance, they give up their teaching jobs and buy property in the woods of Vermont, even though the realtor tells them the land is alleged to be haunted. At first, neither of them believes it, but when weird things begin This is a well-done work of paranormal fiction. I’m not usually a big fan of the paranormal, but it works well here because the story is grounded in history and science since Helen is a history teacher and her husband, Nate, is a science teacher. After Helen receives a large inheritance, they give up their teaching jobs and buy property in the woods of Vermont, even though the realtor tells them the land is alleged to be haunted. At first, neither of them believes it, but when weird things begin happening to the house they are building and things start to go missing from the trailer they’re living in while working on their home, Helen investigates further. The grim family tree she unravels makes for a fun and suspenseful read, made more suspenseful because one of the inhabitants of the land they’re on now was murdered by hanging in the early 1900s because she was a “witch” has purportedly hidden treasure somewhere near the bog. Thanks so much to NetGalley for the opportunity to review this novel, which RELEASES APRIL 30, 2019. Beautifully written fictional ghost story filled with intriguing and tragic history. This story begins with a bang. The back story about Hattie Breckenridge—who died a century ago—is so interesting, it grabbed my attention right away. The book slows down a bit as it comes back to the present, alternating from the POV’s of Helen and Olive. Once things pick up, the book is hard to put down! Every once in a while we get a chapter that goes back in history—to fill in some missing details—and those chapters were my favorite! I didn’t consider this a horror or super scary. It was more of a steady-paced ghost story. It’s full of mystery, ghosts, multi-generational tragedy, intriguing and horrifying history, haunted objects and much more. McMahon’s writing is outstanding! Recommend: Yes. If you like your thrillers with a twist of supernatural and history, you’ll love this! Thank you to NetGalley / Doubleday / Jennifer McMahon for providing this digital ARC, in exchange for my honest review! Witchcraft, a wicked creepy town history, things that go bump in the night. Yes please! I loved this book! I didn't know what to expect when I agreed to read this book as a group read with some fellow Traveling Sisters. Whew, let me tell you it was fantastic. I was creeped out right down to my toes. I am not a fan of horror and I have never read a witchcraft, or witch themed book, oh gasp...... yes I know. I could not get enough of this book though. Helen and Nate decided to pursue their dream of Witchcraft, a wicked creepy town history, things that go bump in the night. Yes please! I loved this book! I didn't know what to expect when I agreed to read this book as a group read with some fellow Traveling Sisters. Whew, let me tell you it was fantastic. I was creeped out right down to my toes. I am not a fan of horror and I have never read a witchcraft, or witch themed book, oh gasp...... yes I know. I could not get enough of this book though. Helen and Nate decided to pursue their dream of building their own little dream house in Vermont in the middle of literally nowhere. Little by little the history of their dream lot started to reveal itself and it was not pretty. Even though it was extremely sad and disturbing I must admit I was drawn in immediately. It was fascinating to hear about the town and it's past. Quite frankly it just kept getting more interesting as the book went on. Things began to happen that could not be explained away. As Helen starting witnessing things that were obviously supernatural in nature, she seemed even more in love with her dream property. Me, I would have packed my bags and gotten the hell out of there and back to Connecticut immediately! I guess why I was so in love with this book is that it has such fine details and was so atmospheric. I literally felt chills down my spine and was uneasy as I was reading much of the book. Horror it is not, but it is one great creepy read. The story line was so interesting, I could not get enough of the town's history. I always get excited about a new Jennifer McMahon book. I've mentioned before that I became acquainted with her work quite a long time ago when I devoured a few of her earlier novels, namely PROMISE NOT TO TELL and DON'T BREATHE A WORD. Still, my favorite McMahon is THE WINTER PEOPLE. She's had a few releases after it, THE NIGHT SISTER and BURNTOWN but I didn't get on so well with either of those. Unfortunately, I'm afraid I had similar issues with this book too--but let's see if I can unpack this I always get excited about a new Jennifer McMahon book. I've mentioned before that I became acquainted with her work quite a long time ago when I devoured a few of her earlier novels, namely PROMISE NOT TO TELL and DON'T BREATHE A WORD. Unfortunately, I'm afraid I had similar issues with this book too--but let's see if I can unpack this in such a way that honors the story and McMahon's writing. The premise of the book is simple: A married couple leave their Big City lifestyle to buy a plot of land in Vermont and build a house and a sustainable, quiet life there. Of course, it wouldn't make for a very interesting story if our couple didn't buy some haunted land rich with paranormal activity and a violent history, right? Right. And the promise for a great ghost story is right at our fingertips--the prologue delivered, sure enough--I was very excited to hear more about our "witches" Hattie & Jane. I really enjoyed getting to know our couple, Helen and Nate as they set to work building their colonial "saltbox" style home on their new property with a haunted bog. To make things interesting, the readers are also treated to the story of Olive, a young girl living with her parents in the same, small town that our couple from the Big City now reside. Soon enough, readers will begin to guess at how these two stories will intersect (I did and I have to admit, I was inwardly groaning a little- but optimistic! Maybe my hunch as to where the story was going to go, would be wrong! It wasn't.). This is where I think it would be appropriate to set up some realistic expectations for this book. Fans of THE WINTER PEOPLE are going to hope this book is like THAT, a ghost story/mystery with teeth. It's not. This is more like a sprawling, a character-driven, gothic tale that takes its time delving into a rural, small town past with loads of secrets. Which is fun. Readers will love this! Especially Jennifer McMahon fans who show up for her unique brand of atmospheric, engaging storytelling and memorable characters. For me personally, a die-hard avid horror fiction buff reading this ARC during #womeninhorrormonth, this lacked punch. There was nothing here to get my engine to turn over and start purring. I read this with very baseline feelings of calm, serenity and enough curiosity to keep going--I wasn't bored but I was eager for the reveals and the end. Helen and Nate have a nice, settled life as teachers at a private school in Connecticut. But they also have aspirations for a simpler life. So using their savings and an inheritance, they buy 40+ acres in the tiny village of Hartsboro, Vermont and decide to build their own dream house themselves. Helen, a history teacher, wants a house and land with history--and she gets her wish when she discovers the story of Hattie Breckenridge, a woman who apparently lived (and died) on their property over a Helen and Nate have a nice, settled life as teachers at a private school in Connecticut. But they also have aspirations for a simpler life. So using their savings and an inheritance, they buy 40+ acres in the tiny village of Hartsboro, Vermont and decide to build their own dream house themselves. Helen, a history teacher, wants a house and land with history--and she gets her wish when she discovers the story of Hattie Breckenridge, a woman who apparently lived (and died) on their property over a hundred years ago. Marked by the villagers as a witch, Hattie was killed, leaving behind her young daughter, Jane. Helen becomes fascinated with Hattie's past and begins trying to find out what happened to her--and her family members. But a series of more and more weird events start happening once they move in. Is it just the people of Hartsboro, who don't like outsiders? Or is it Hattie? And are Helen and Nate in danger? I just love Jennifer McMahon's books and she's someone whom I will read anything they write. This was such a good book that drew me from the very beginning. I started it while on vacation in Vermont, so I was really excited that it happened to take place in Vermont--a place I'd never been until this year. McMahon's descriptive language makes it so easy to visualize her (often eerie) settings, as well as her characters. Along with Helen and Nate, our slightly hippyish couple, we have Olive, a teenage girl from Hartsboro, and her dad and aunt, plus various Hartsboro townsfolk. Olive was a very compelling character; she's been abandoned by her mother and is teased and bullied terribly by her schoolmates, since the town all believes her mom ran off with another man. Her bereft father isn't much help, leaving her to raise herself or rely on her aunt. She has one friend, Mike, who is a good guy, but annoys our feisty heroine with his wimpy-ness. It's hard not to fall for Olive, believe me. Even Helen will grow on you, too. And no matter what, they are so easy to picture. The novel is told from a variety of points of view, but mainly Olive and Helen. We learn a lot about each of them. As I said, it drew me in from the beginning and kept me reading. As with most of McMahon's books, it's layered with that creepy, mysterious edge. In many ways, it's a proper ghost story. But she always manages to write it so that instead of rolling your eyes, you feel a little creeped out, or find yourself looking over your shoulder at night. Hattie herself plays a really strong role in this book, and I liked how well the story set up the idea of how much people (and small towns) fear what they don't know. "What people don't understand, they destroy." It's funny, I could guess where a lot of this book was leading, yet it in no way diminished my enjoyment of it. I could see how that might annoy some, but it didn't bother me in the least. I was completely immersed in the characters, the eerie ghost story, and trying to piece together all the plot pieces. Hattie's story--and that of her descendants--is fascinating. There was just something about this book that I loved: that intangible piece that makes you a part of the story, keeps you flipping the pages, and makes you feel both sad and amazed when you finish the book. 4.5 stars. I received a copy of this book from the publisher, Doubleday, and Edelweiss in return for an unbiased review (thank you!). Kristy Kelley wrote: "I love this author, too. Your review intrigues me about this book even more. Can't wait to read it!" She's so great - I hope you enjoy i Kelley wrote: "I love this author, too. Your review intrigues me about this book even more. Can't wait to read it!" Anyone that knows me well at all knows I absolutely A-D-O-R-E Jennifer McMahon. She writes some of the creepiest and most chilling books I have ever read. Unfortunately, while I still really enjoyed The Invited, it was not my absolute favorite from her. The Invited jumps between past occurrences on the land, and POV-wise mostly between Helen and a young girl named Olive in present day. I loved the different timelines and storylines in the book, and they definitely kept me very interested in what was going on. I wasn't a huge fan of all Olive's sections, but most of them were necessary to the story. And like with most of this author's books, The Invited has a very real ghost aspect to it. So if you don't like books that delve into the supernatural world, I wouldn't necessarily recommend this to you. I happen to love that about McMahon's novels, and that ended up being what disappointed me the most in this one. While the ghost aspect was there, I think she could have gone SO much further with it and made this book even better than it was. Especially considering the fact that this cover is so dang creepy and perfect for the story. Final Thought: The Invited is quick, interesting, and classic McMahon so if you haven't picked up a book by her yet, or are already a huge fan, I definitely recommend picking this up. I loved that the sections of the book were broken into the building of the house, plus the pacing, along with the other things I mentioned. The only things that fell short for me were the ghost aspect, finding myself annoyed at times with Olive's sections, and the fact I figured out a major part of the plot before it happened. This was still a very solid read though and one that I will be recommending! Kim ~ Traveling Sister Fantastic review! I loved this one too!! ABookwormWithWine Kim ~ Traveling Sister wrote: "Fantastic review! I loved this one too!!" Thanks Kim! Well, I wouldn't say LOVE, but I did really enjoy it. Just not as Kim ~ Traveling Sister wrote: "Fantastic review! I loved this one too!!" Loved this ghost story. I thought it was well written and I liked the characters Nate and Helen and Olive. Nate and Helen decided to build a house in Vermont and live in a trailer on the land while they are building. During this time they found out the land is haunted by its former owner, Hattie, who was hung on the property. Helen spends time researching Hattie and her descendants and compiling information. All kinds of "ghostly" things happen and the story is suspenseful. I highly recommend it Loved this ghost story. I thought it was well written and I liked the characters Nate and Helen and Olive. Nate and Helen decided to build a house in Vermont and live in a trailer on the land while they are building. During this time they found out the land is haunted by its former owner, Hattie, who was hung on the property. Helen spends time researching Hattie and her descendants and compiling information. All kinds of "ghostly" things happen and the story is suspenseful. I highly recommend it. 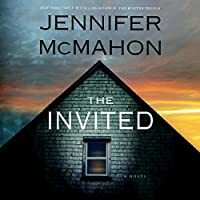 The Invited is my first read by suspense author Jennifer McMahon, and I'm intrigued to learn more about her after finishing this title. Helen and Nate have decided to move out of suburban Connecticut and venture to rural Vermont, in order to create their dream home. It'll be a beautiful estate, on over forty acres of land, and they'll begin a farm of their own. A simpler life, and they'll be happy together. However, the couple's happiness is deterred once they find out that the land was previo The Invited is my first read by suspense author Jennifer McMahon, and I'm intrigued to learn more about her after finishing this title. Helen and Nate have decided to move out of suburban Connecticut and venture to rural Vermont, in order to create their dream home. It'll be a beautiful estate, on over forty acres of land, and they'll begin a farm of their own. A simpler life, and they'll be happy together. However, the couple's happiness is deterred once they find out that the land was previously owned by Hattie Breckenridge. Hattie was murdered after accusations of her practicing witchcraft grew within the town, and her daughter Jane mysteriously disappeared. Apparently, Hattie had treasure hidden on the property before she was killed, and neighbors have been searching for this treasure for years. One scavenger, Olive, is neighbors to Helen and Nate, and her presence is causing a nuisance for them. Helen starts noticing odd occurrences on the property, but why are they happening? Will their purchase of this property haunt them forever? I went into reading The Invited thinking that it is a horror story. Folks, it is not. It's a gothic ghost story, infused with a light mystery. Please don't go into this thinking that you'll be hiding under your blanket, because you'll be disappointed. The writing in The Invited is spectacular—like honestly captivating at times. You'll begin to feel like you're part of the story while you're reading—aw, Olive! I feel for you boo; Helen, don't listen to know-it-all Nate anymore!—which is why I am so invested in reading more from this author. It's very rare that I end up clinging onto the characters so tightly in a mystery setting. The Invited was a solid 4 stars. The book centers around a married couple, who decide to leave their respective teaching jobs to build a house in rural Vermont. While building their dream home, strange things start to happen around Helen and Nate, and they learn that the location is said to be haunted. The Invited is a well written, slower paced book that details a horrible family legacy and how it affects those in present day. The characters and story are both well developed and I’d highly reco The Invited was a solid 4 stars. The book centers around a married couple, who decide to leave their respective teaching jobs to build a house in rural Vermont. While building their dream home, strange things start to happen around Helen and Nate, and they learn that the location is said to be haunted. I stayed up WAY too late finishing this book but it was definitely worth it. As a fan of McMahon's previous book, The Winter People, I was eager to try another one of hers but nervous it wouldn't live up to my expectations. Spoiler alert, it did. McMahon is incredible at creating atmospheric settings that pull you in and make you feel like you're part of the story. The Invited was the perfect mix of spooky -- with ghosts and haunted houses -- and creepy. A cross between a thriller and a ghost st I stayed up WAY too late finishing this book but it was definitely worth it. As a fan of McMahon's previous book, The Winter People, I was eager to try another one of hers but nervous it wouldn't live up to my expectations. Spoiler alert, it did. McMahon is incredible at creating atmospheric settings that pull you in and make you feel like you're part of the story. The Invited was the perfect mix of spooky -- with ghosts and haunted houses -- and creepy. A cross between a thriller and a ghost story, this book is perfect for anyone who doesn't want to be too scared but still kept guessing. After previously reading and loving The Winter People, I was eager to read a similar suspense story by the same author. The Invited was well written with decent characterizations. Unfortunately, the plot itself did not live up to my expectations. I usually love stories that incorporate multiple genres, yet it just did not work in the case of this novel. Blending together suspense, mystery and horror, this narrative failed to push any of these elements far enough to feel satisfying to the reader. In fact, the story failed to elicit any unsettling moments. While there were threads of a mystery in the plot, the narrative always gave away too much information to soon, which completely killed the suspense. The chapters set in the past were easily my favourite to read. I was fascinated by the legacy of the woman with potential supernatural abilities. Sadly, there were only a few of these sections. I wish they had made up a larger portion of the story. I thought the premise of this novel was great, but it ultimately left me disappointed and wanting more. Instead, I would personally recommend reading The Winter People, which had a similar premise, but a much more satisfying execution. 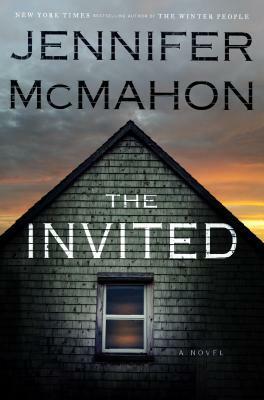 The Invited is a super fun ghost story from Jennifer McMahon with an intriguing mystery to unravel. Helen and Nate abandon their jobs and the city life they know to build their own house in the woods of Vermont. The setup is a bit tropey and cliche; unwelcoming backwoods locals clash with outsiders from the city, rumors o My thanks to Doubleday Books and NetGalley for sending me an ARC of this book in exchange for an honest review. All opinions are my own and are not influenced by the publisher. I think the heavy use of familiar tropes made the ghost story feel cozy rather than overdone, and it made for a nice contrast to the creepier elements of the story. Helen's background as a history teacher meshed well with her character's growing obsession with the dark history of the land, and what starts out as a rather understandable fascination slowly begins to feel a bit sinister as the story goes on. The novel is compulsively readable and I flew through most of it in a couple of days. That being said, there were a few reasons for my middle of the road rating, despite enjoying a lot of the aspects of the story. There were a few moments of clunky writing that read more like a debut author or a rough draft than what you'd expect from someone with multiple prior novels, like McMahon. There's a section of painfully unnatural dialog which was clearly only written the way it was because a character needed to overhear a key bit of information in order for the plot to progress. There are a few coincidences that strain the limits of credulity, and a plot twist connecting the modern story with the historical background of the land which can be seen from about a million miles away. This was a fun book, but it's hard to call it anything more substantial than fun. Jennifer McMahon's The Invited may be a great choice for fans of Megan Miranda and Riley Sager. Helen and Nate were ready for a change in their lives. Nate, a science teacher, and Helen, a history teacher, lived in the suburbs, but they both yearned to be closer to nature, more removed from city-life. So they bought 44-acre plot of land in Vermont and decided to build a house from scratch. Helen learns that the land they purchased used to belong to the Breckenridge family and comes with a spooky past. Hattie Breckenridge was said to be a witch and people still believe she haunts the bog on Helen and Nate were ready for a change in their lives. Nate, a science teacher, and Helen, a history teacher, lived in the suburbs, but they both yearned to be closer to nature, more removed from city-life. So they bought 44-acre plot of land in Vermont and decided to build a house from scratch. Helen learns that the land they purchased used to belong to the Breckenridge family and comes with a spooky past. Hattie Breckenridge was said to be a witch and people still believe she haunts the bog on their property. This history only made Helen feel more connected. She wanted a place with a story to tell—and now she has it. When Nate and Helen arrive to town, they feel a little out of place among people already acclimated to country life. Most people are welcoming, but some aren’t used to outsiders. 14-year old Olive wasn’t happy to learn about the couple purchasing the Breckenridge land. Since she was younger, Olive’s mother told her there was family treasure buried on that land. And ever since her mom left her and her dad, Olive has been desperately searching the property any chance she got for that treasure. Although Helen appreciates the rich history of their new property, she doesn’t believe in ghosts. They’re just stories to pass down, add excitement to the past. But as soon as they arrive to town, weird things start happening to Nate and Helen. Their belongings are missing, odd “gifts” are left on their doorsteps, jarring sounds in the night. Nate is convinced that it’s nothing to worry about, but Helen isn’t so sure. Helen obtains every piece of information she can to better learn about Hattie Breckenridge. The more she learns, the more intrigued she becomes and she can’t help but start to believe the wicked tales of the past. The Invited by Jennifer McMahon is a spooky ghost story that you surely won’t want to read in the dark. I got swept up in the atmosphere of this book. Jennifer McMahon surely knows how to create an element of suspense with her spooky atmospheric writing. I enjoyed the dual perspectives between Helen and Olive—they both provide something that the other cannot, helping us learn the full picture of Breckenridge. I’m usually not a ghost story fan, but this story had be intrigued. I wanted to solve the mystery of this family history. The pieces finally come together and I definitely wasn’t disappointed. Highly recommend if you’re looking to be equally creeped out and intrigued! 4/5 stars. I couldn’t put this book down. Great ghost story with some tragedies and mystery. It’s not horror story so you don’t have to be scared. Like always Jennifer McMahon didn’t disappoint me. THE INVITED by Jenifer McMahon is haunting, yet not nightmare inducing! This tale comes across as as much of a contemporary suspense as a ghost story and I couldn’t’ help but feel for the young girl, Olive, who seems to be caught up in the middle of more than an old ghost story. An easy read, sometimes spellbinding in the suspense, sometimes almost mundane as the mechanics and pitfalls of home building come into play, the horrors of going over budget still pale in comparison to the horrors of this small town’s secrets. Ms. McMahon creates a nice balance between the past, the present and the mysteries that surround the bog and land it is on. The Invited is a very interesting suspenseful book. Helen and Nate move from the city to build their own house They leave their teaching jobs and everything they knkw behind. They move to a small town where it’s rumored to be haunted by the tragic life of Hattie. I read about 70 pages of The Invited, and this is not working for me. Nothing has happened, and the characters are insufferable to me. YOU CAN'T READ BOOKS AND JUST KNOW HOW TO BUILD A HOUSE. NO. Anyway, I guess I was expecting something closer to The Winter People, and this was not it. There's no spook factor in this one. I'm out. Were they really invited? Or were they lured into making irrational decisions, becoming uncharacteristically obsessed with fanciful creatures and inatimit objects? Various people have tried to untangle the mystery and find the treasure left by Hattie, who was blamed for deaths and hung as a witch, but no one as determined and resourceful as newly wed Helen. She and her husband bought land next to a bog where Hattie was buried by irate townspeople. The couple start to build their dream home on the Were they really invited? Or were they lured into making irrational decisions, becoming uncharacteristically obsessed with fanciful creatures and inatimit objects? Various people have tried to untangle the mystery and find the treasure left by Hattie, who was blamed for deaths and hung as a witch, but no one as determined and resourceful as newly wed Helen. She and her husband bought land next to a bog where Hattie was buried by irate townspeople. The couple start to build their dream home on the property together and end up at each other's throats, due to each of their obsessions. Is Hattie reaching out to them to help the young girl, Olive? Or is she sending Olive to scare them away? This is a creepily entertaining read about a sad family legacy. However, some of the hints to the mystery are a little heavy handed and obvious - and the characters are very dense when it comes to figuring out anything.